From the old-world charm of Kolkata to the Buddhist influence in the districts of Bihar and the spiritual aura in Varanasi, we have curated some incredible experiences for the guests through this journey of 12 days. All throughout the voyage, 8 nights will be spent in the cruise and 3 nights in the hotel. 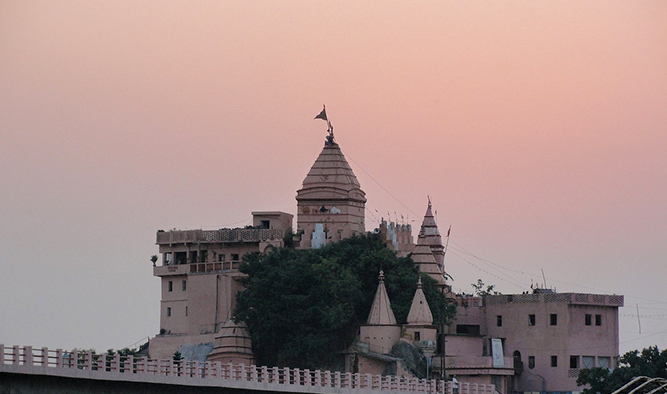 Embark on a tour around the incredible Ganges and leave with memories to cherish for years to come. The cruise schedule includes the latest information regarding the program where last minutes adjustments can be made. While you arrive in Kolkata by morning flight, we take you to the jetty to board the cruise ship RV Bengal Ganga. After lunch in the cruise, we embark on a Kolkata tour covering the major heritage sites of the city. Writer’s Building, General Post Office, High Court, Raj Bhawan, Town Hall, Council House, Treasury Building, the Reserve Bank of India, St. John’s Church and Victoria Memorial are the landmarks we cover on the 1st day. We then return to the ship and cast off to Kalna. 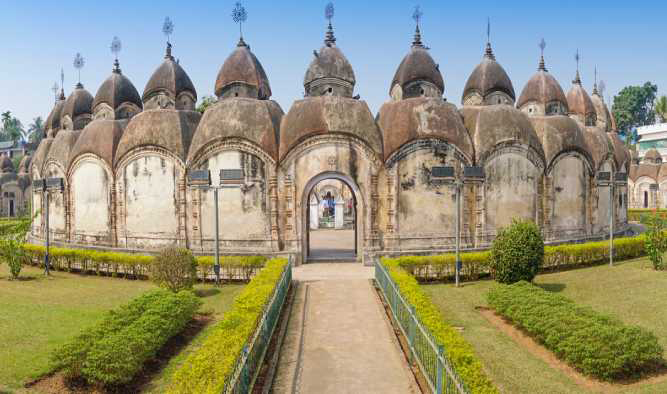 We start our morning with a ride to the enchanting Rajbari Temple Complex in Kalna. The complex consists of 74 temples of alternate black and white lingams while the 34 temples of the inner circle have only white lingams. 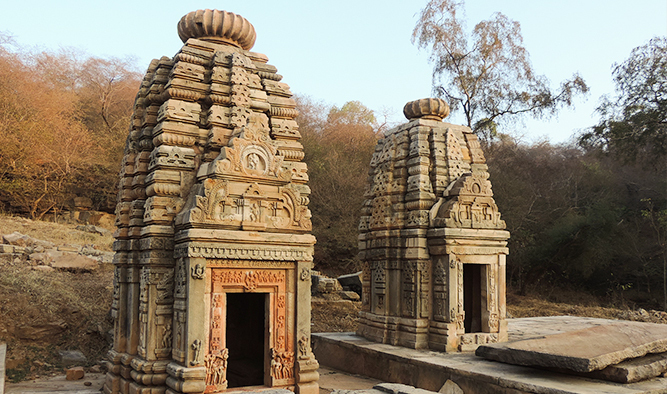 The notable landmarks here are Lalji temple, Krishnachandra temple and the flat roofed temple, Giri Govardhan. We then return to the ship and cruise towards Matiari overnight. Early in the morning, we visit Matiari, a small village popular for brass and copper production. As we take a stroll through the village, you would witness the loud noises of metal beating coming from the houses. After a soulful walk through Matiari, we return to the ship and cruise towards Murshidabad. The passengers spend the night at Murshidabad. The 4th morning starts with the exploration Murshidabad, a historical town. 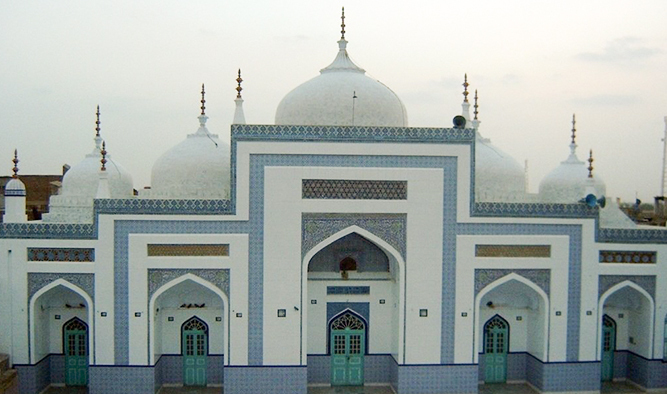 We ride the local Tonga (horse cart) to visit Katra Mosque, the oldest mosque of this town. 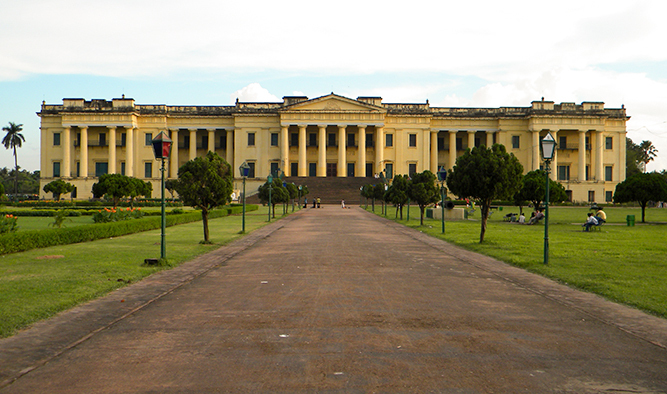 From there, we ride the Tonga to the Hazarduari Palace Museum. After exploring the museum, we take you to the ship and sail towards Jangipur, and spend the night in the cruise. We cast off in the morning to reach the historic Farakka Lock Gate, which was built during 1963-75. While travelling through the Feeder Canal, you will be greeted by various species of birds. After crossing the lock, we cruise through the connecting canal to the Ganges revealing vast panoramas. We continue our sail upstream and moor for the night at Samtaghat and overnight on board RV Bengal Ganga. The 6th day we reach Bateshwarsthan and head for a site excavation in the afternoon. The tour starts with the Vikramshila University, which dates back to late 8th century and early 9th Century A.D. Vikramshila was one of the largest Buddhist universities having more than 100 teachers and about 1,000 students. 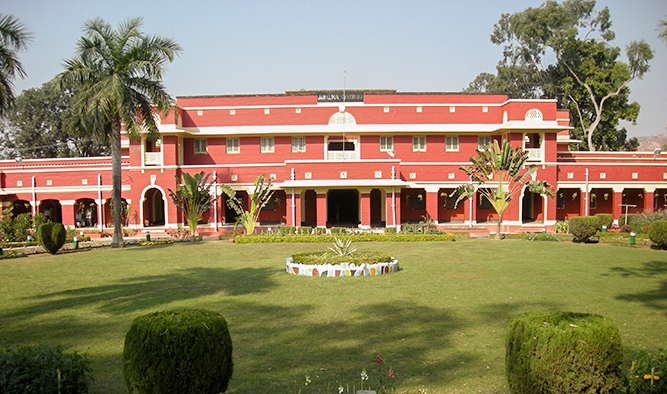 After a walk through the corridors of the University, we head back to the cruise and moor for the night at Bateshwarsthan, and spend the night in RV Bengal Ganga. 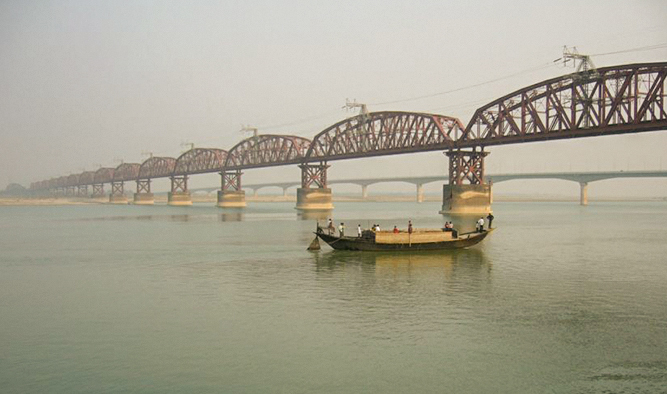 On the 7th day, we sail towards Sultanganj, which is conspicuous for two great rocks of granite. 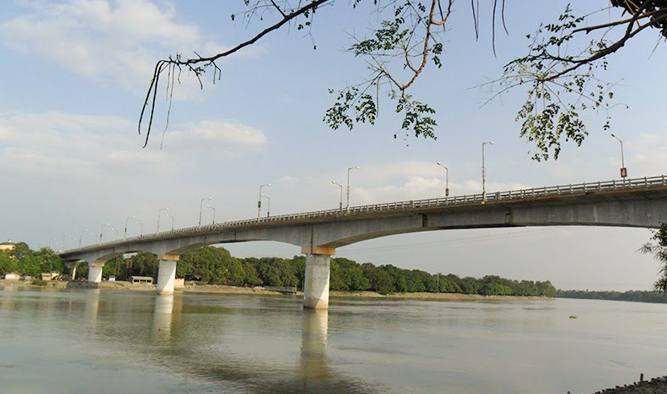 The folklore of river Ganga being seized here by a curse of the sage Jahnu and later getting released by the penance performed by King Bhagirath revolves around the place making it a popular pilgrimage site. We sail further upstream and spend the night in the cruise. The 8th day is packed with a lot of time spending in the cruise. We sail towards Munger, one of the largest cities of Bihar. 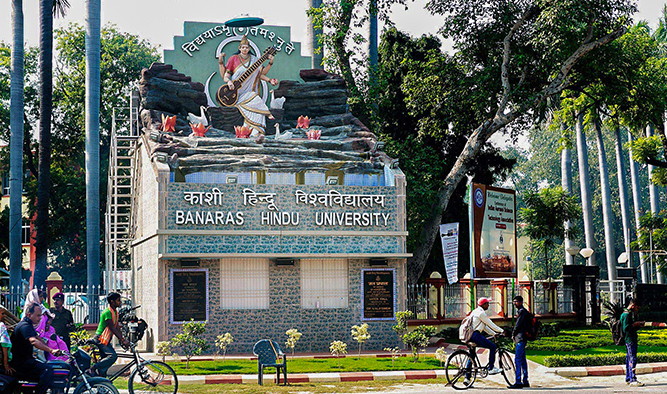 The history of the city can be traced back to the mythological era of Ramayana and Mahabharata. We arrive here by afternoon where lunch will be served to all the passengers in the cruise. Post lunch, we visit Bihar School of Yoga and spend the night in RV Bengal Ganga. We commence our cruise at 0700 hrs and drive to Nalanda, a district with glorious Buddhist past. After exploring Nalanda, we drive to Rajgir, yet another Buddhist influenced city of Bihar. 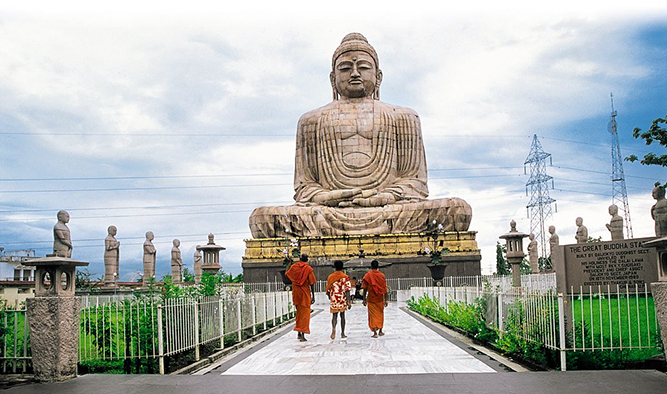 Late in the afternoon, the passengers will be taken to the Mahabodhi Temple, a UNESCO World Heritage Site. Thereafter, the travelers will be taken back to the hotel. The 10th day starts with an early breakfast followed by a drive to Varanasi, the holiest town for Hindus. Upon arrival, the passengers are taken to the hotel for lunch. 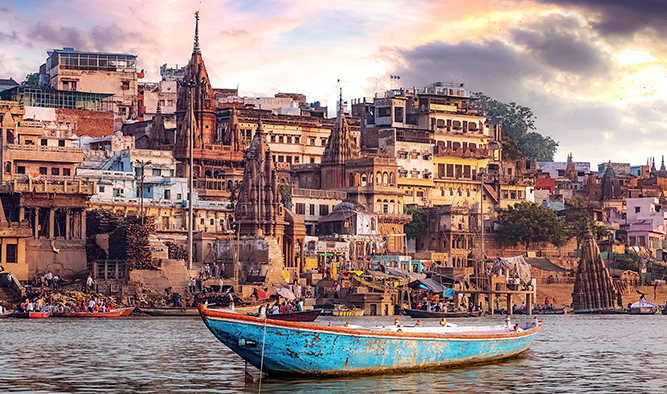 Late in the afternoon, join us to experience the enchanting and lively streets of Varanasi. In the evening, we take our guests to witness the evening 'Aarti' from a boat. We begin the day with a Sunrise Boat Tour where you will be given a chance to witness the incredible scenes from the holy river. After a mesmerizing morning view, we will take the passengers back to the hotel for breakfast. We take you to visit Sarnath after lunch, a place in Varanasi where Gautam Buddha first taught lessons on Dharma. The Archeological Museum containing a large collection of sculptures stands as a popular attraction of the place. After all these explorations, guests will be then directed to the hotel in the night. 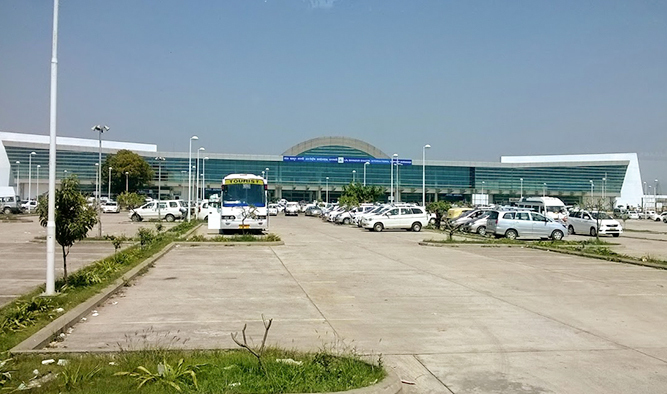 We take you to the airport for your flight or depart to your onward destination.